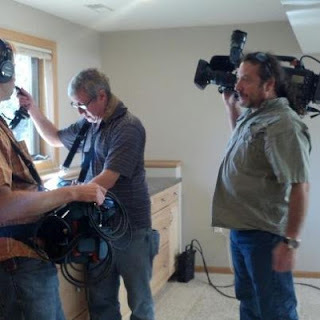 The last couple of weeks I had the opportunity to be involved in filming for an upcoming episode of House Hunters on HGTV (http://www.hgtv.com/shows/full-episodes). Here's a few behind the scenes photos that I took. Stay tuned for more House Hunters in Madison. The episode will likely air in the next 2-3 months.